From the hidden wonders of fossilization, rocks and the water cycle, to awe-inspiring spectacles like volcanoes, thunderstorms and glaciers, discover the magnificent ways the world works in this unique and beautiful approach to earth science. 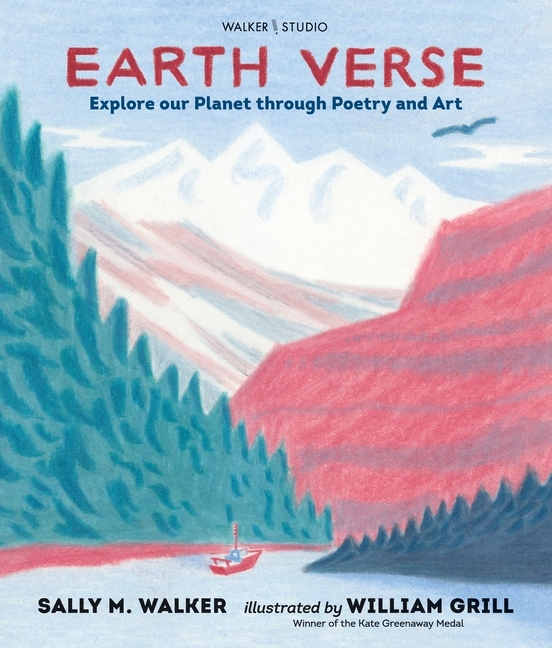 Vivid illustrations by William Grill, the Kate Greenaway medal-winning creator of Shackleton’s Journey, and illuminating haikus from Sally M. Walker reveal the extraordinary processes that happen all around us. A book to treasure for art- and science-lovers alike. Sally M. Walker studied geology and is the author of many non-fiction books, including Secrets of a Civil War Submarine, which won the Sibert Award. She lives in Illinois. William Grill is the author-illustrator of Shackleton’s Journey, a New York Times Best Illustrated Children’s Book of the Year and winner of a Kate Greenaway Medal. He lives in London.